It is the easiest and most affordable way to have your own PDF Writer. ROYALTY FREE! Just purchase the custom package once, and you're free to use or distribute it however you want. This edition allows you to customize every aspect of the setup program. 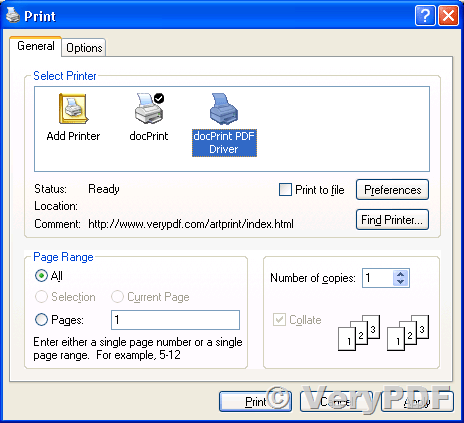 It works like VeryPDF docPrint, EMF Printer, PDF Printer, TIFF Printer, etc.. Optional security module makes it a snap to secure (40 or 128 bit encryption) your sensitive documents before distribution. This entry was posted in VeryPDF SDK & COM and tagged emf printer, pdf driver, PDF Printer, virtual printer.. Bookmark the permalink.